Passion is a wonderful design that is a striking piece to display in home interiors as well as resturants and similar venues. Bold striking tones of red and black contrast beautifully along side the neutral background. Richard has employed the tools of reflection and light to achieve a feeling of movement and we see this piece brought to life. Passion is one half of a pair and also available to purchase is Reflection. Choosing an unframed print allows you to take it to a framing specialist/shop and commision a frame colour and style which will best match your decor' and personal preference. This option also allows you to select your own colour and style of mount, even having double or treble mounts. A good framer will be happy to explore options with you, demonstrate examples, and offer advice to make a custom one of a kind picture, with your own special touch, this option is a very satisfying way to have more creative input into the final finished painting. our unframed prints uniquely are accompanied with a certificate of authentication verifying that it has been made and approved by the artist to his own exacting standards. Our prints come with a 5cm plain white border for framing and mounting purposes. To provide our customers with the highest quality of print we use the Giclee printing process as a means of providing a higher quality colour accuracy than any other means of production. 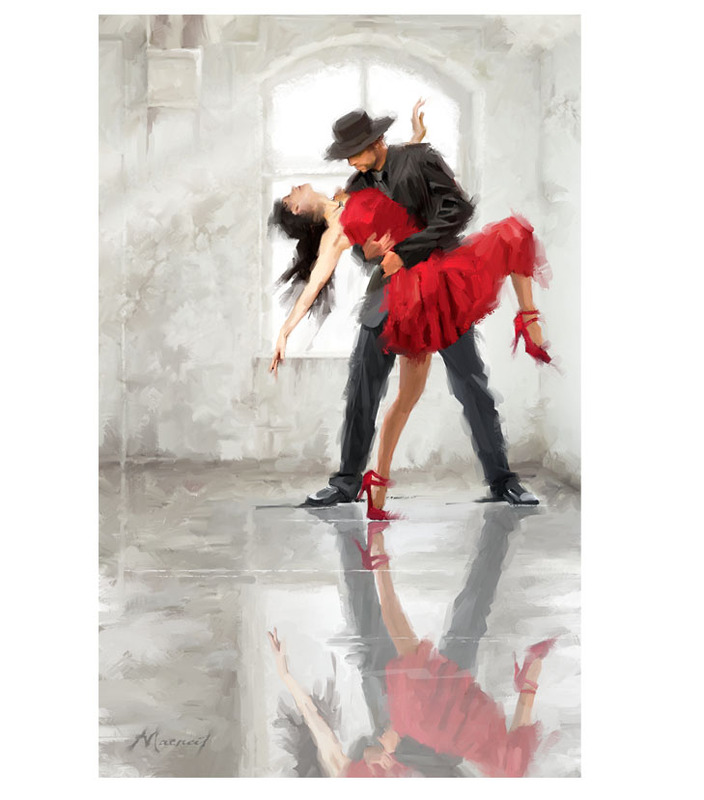 Richard Macneil giclee prints are produced on a 280gsm high quality, soft white cotton fine art paper which is slightly textured with a speciality matte coating. This paper is acid free and prints produced on this paper will not fade due to sunlight and will last 75 to 100 years. Producing Richard Macneil Prints in this manner allows us to offer you the highest quality fine art prints. Please note we are able to produce unframed prints in a variety of sizes so please do not hesitate to contact us for a quote if you would like an unframed print in an alternative measurements to those specified.